is the largest multi-faith registered charity in Britain and operates across three continents with particular focus in India, Pakistan, Canada and Greece. It has almost 3000 members in Britain, members of every race, religion and community. In 2005 the Charity Commission of England & Wales formally registered the Anglo Asian Friendship Society charity as Charity No. 1108891. In recognition of our diverse achievements, we are constituted as an international charity with scope comparable to Red Cross and Amnesty International. Protect & promote good health. Britain has changed a great deal since I first arrived from Kenya in 1958, dispossessed of all but the idealism of my youth. I believe the voluntary sector has an essential role to play in meeting the epoch-defining issues that have arisen since the dawn of our new millennium. For almost a quarter of a century, the Anglo Asian Friendship Society has been pioneering a new paradigm of grass roots political, social and community engagement. Please contact us if you think we can assist or you would like to discuss our project further. This video is taken in Mailey, the original place in the mountains where Baba Ghai's Guruji, Do Guttan Wale Babaji, lived, and where Baba Ram, the girl at the start of the video lives. NOTICE: This video was originally uploaded on to the YouTube channel in February. Since some parts of the video were missing, we had to remove it, add the missing parts and re-upload it. You will find most of the video to be similar to the original one that you may have previously viewed. Anglo-Asian Friendship Society shared a post. Anglo-Asian Friendship Society shared a live video. Khawar Rasool added a new photo to Anglo-Asian Friendship Society's timeline. Anglo-Asian Friendship Society shared a post — feeling hopeful. Crestone, Colorado is an outdoor human cremation facility in the United States. 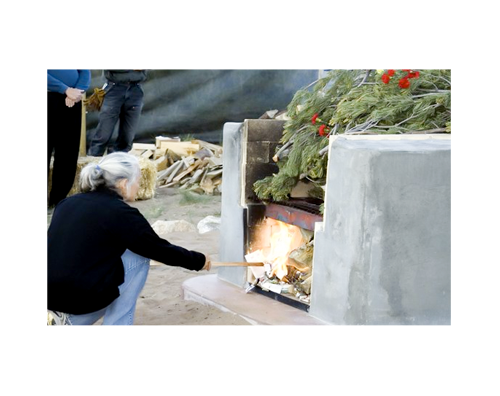 Some may consider it an archaic tradition, but the facility in Crestone will perform a funeral pyre for anyone, regardless of their religion. The facility is unique in the U.S. as it is a crematorium where family can participate in the outdoor cremation of a loved one. The funeral pyre is constructed from a concrete and brick-lined hearth topped with a steel grate. The legalisation of the Funeral Pyre in UK – a traditional Hindu funeral is finally legal in Britain thanks to Davender Kumar Ghai (Baba Ghai) the Founding President of Anglo-Asian Friendship Society. The following video bears the media coverage in The Times of India with Arnab Goswami interviewing Baba Ghai on the subject and other national media broadcasts. 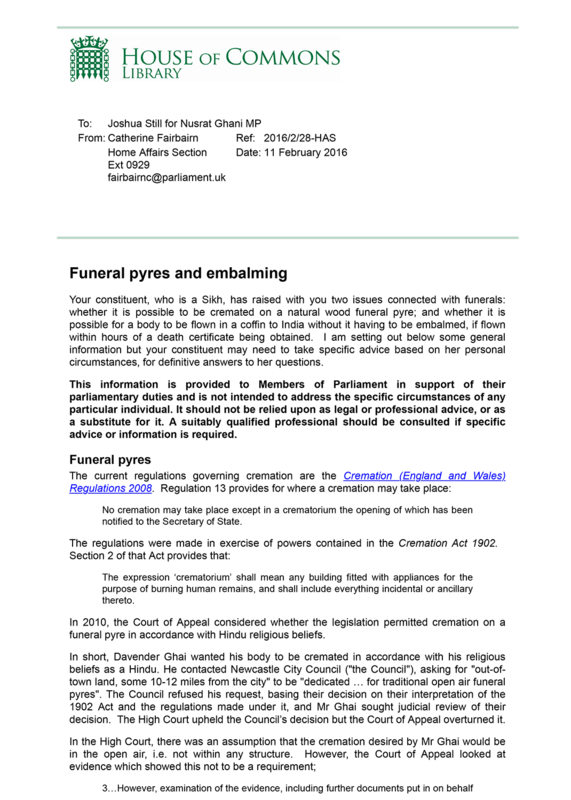 The Parliament statement indicating that a wood fired open air cremation is legal if the structure is approved.